Windows 10 Version 1803 is here! Although most of the usual hype and news about Windows upgrades is centered around the main releases, like Windows 7, 8, and 10, Microsoft also releases smaller version updates on a regular basis. Going forward, we will be providing summaries of these updates so that you know what to expect. One of the best new features in this version is Timeline, which is an extension of Task View that allows you to see and resume activities that you've worked on in the past. 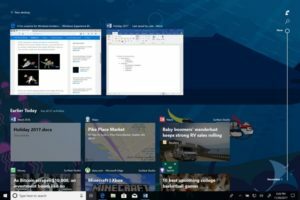 This new feature will display activity from your laptop, or even another PC or your phone if they are connected to your Microsoft account. The new version of Windows 10 will make pairing Bluetooth devices much quicker and easier. When a Bluetooth device is in range and ready to pair, a notification will pop up with a Connect button. Simply click that button, and setup will automatically complete. 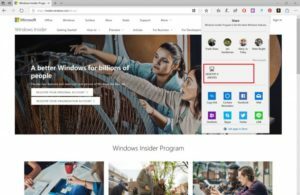 For the first time in Windows, Microsoft is introducing Nearby Sharing, a new feature that allows you to share files, pictures, and web links easily with other nearby devices. This is similar to the Airdrop feature on iOS, and will make office collaboration much easier. Microsoft always sends a notice to tell everyone to install new Feature Updates as soon as they are released. However, we always test updates before rolling them out to our clients. The new Windows 10 Version 1803 has had several major problems since it was released. For this reason, we held off upgrading out clients' computers until these problems were resolved. Microsoft has now fixed these issues and we are now rolling out these upgrades to all of our managed clients over the next month. As always, if you have any issues or questions, feel free to call us at 478-289-6607. Thank you for choosing Wise Computer Solutions!